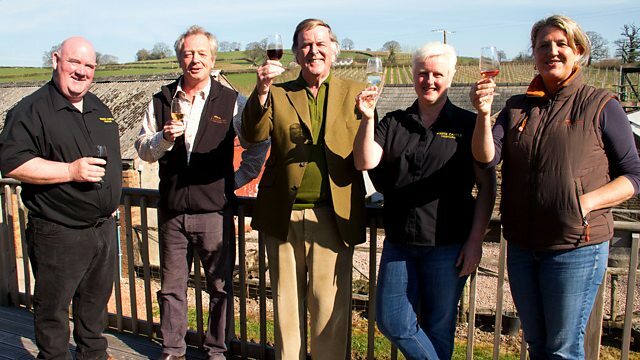 Terry Wogan and Mason McQueen track down the foodie delights of Abergavenny. They have a go at making sweets that the miners would have taken down the pit. It's a trip to Wales for Sir Terry Wogan and Mason McQueen to track down the foodie delights of Abergavenny in Monmouthshire. They have a busy visit and are impressed by the variety of locally-produced food on offer in the market town known as the gateway to Wales. They feast on a Nepalese curry, drink Welsh wine, have a go at making sweets that the miners would have taken down the pit, drop into a Michelin-starred restaurant and, at a barbecue at the castle, are serenaded by a male voice choir.